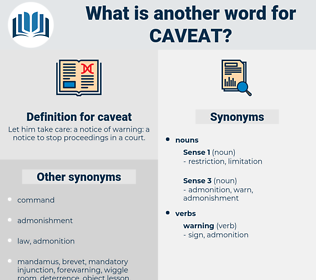 What is another word for caveat? Let him take care: a notice of warning: a notice to stop proceedings in a court. 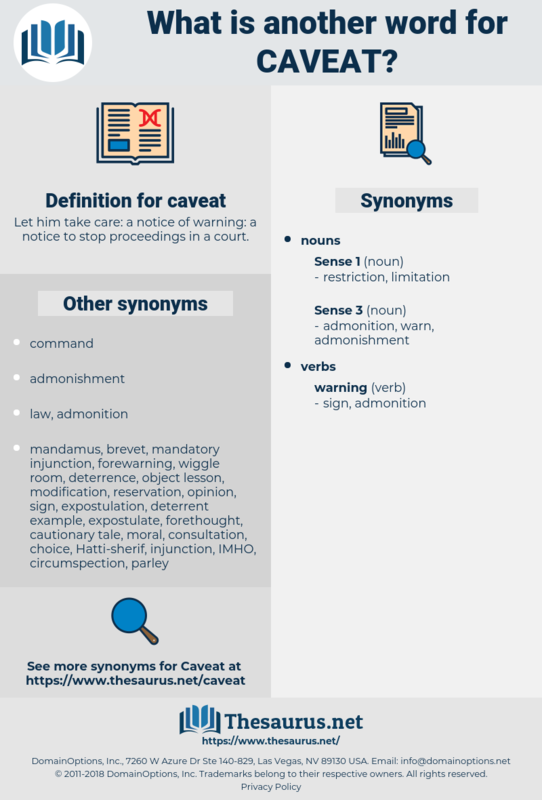 mis, reservation, cautions, objection, exception, restriction, reserve, reticence.